CHICAGO --- A team of international scientists led by Northwestern University found that HIV is still replicating in lymphoid tissue, even when it is undetectable in the blood of patients on antiretroviral drugs. The paper was published January 27 in the journal Nature. Up until now, most scientists believed the reservoir only contained long-lived infected cells in a resting state rather than newly infected cells for several reasons. First, no one had seen viruses with the new genetic mutations that inevitably arise when HIV completes cycles of growth. Second, most patients do not develop the drug resistance mutations which might seem likely, if HIV was growing in the presence of drugs. 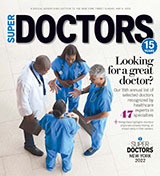 Other authors on the paper include Ramon Lorenzo-Redondo, Eun-Young Kim and Sudhir Penugonda of Northwestern University; Helen R. Fryer of the University of Oxford, Oxford, UK; Jeffrey Chipman, Timothy W. Schacker and Ashley T. Haase of the U of M, Minneapolis; Trevor Bedford of the Fred Hutchinson Cancer Research Center, Seattle; Sergei L. Kosakovsky Pond of Temple University, Philadelphia; Yoon-Seok Chung of the Korean National Institutes of Health, Korea; Courtney V. Fletcher of the University of Nebraska Medical Center, Omaha; Michael H. Malim of King's College London; Andrew Rambaut of the University of Edinburgh, Edinburgh, UK; and John Archer of Centro de Investigação em Biodiversidade e Recursos Genéticos Universidade do Porto in Portugal. The study was supported in part by grants DA033773, AI1074340 and GM110749 from the National Institutes of Health, grant G1000196 by the Medical Research Council, grant 278433-PREDEMICS by the Framework Programme for Research and Technological Development, grant 260864 by the European Research Council, the Oxford Martin School, All Souls College and the Royal Society.